Grab An Exclusive Student Discount Card! 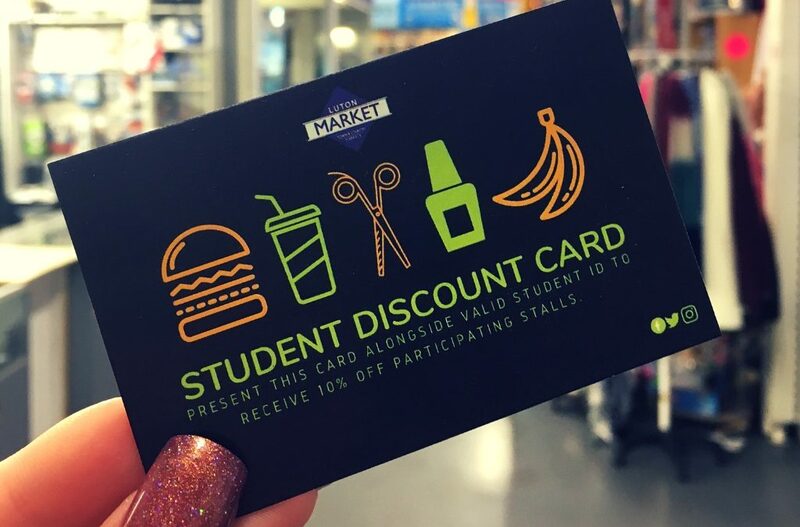 For those of you lucky enough to be starting university at the University of Bedfordshire this September – make sure you get yourselves down to the Luton Campus Freshers Fair and pick up one of the Student Discount cards we are offering in the Fresher’s Goody Bags! Luton Indoor Market is an absolute gem for anybody looking for delicious and affordable lunchtime meals, fashionable clothing, home-wares, weekly groceries and marvellous services. For students with a valid student ID and discount card only, over 30 of our traders and small business’ have offered a 10% discount on their stalls – making the market an EVEN cheaper place to shop! Simply pick up the cards from the Luton Freshers Fair on Monday 24th September 2018, make sure you have your student ID and check that the trader is involved from the list below and you’re ready to roll.